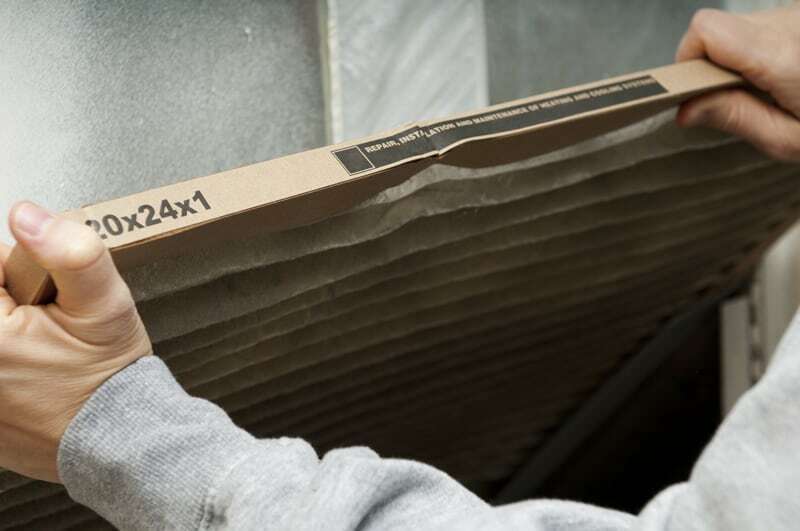 Seasonal allergies are picking up again, time to change your air filters! Longevity, performance, and efficiency all start at the air filter, so it is important to make sure that it is in good condition. The other main purpose of the filter is to keep particles, dust, allergens and other things in the air from circulating into your home, thus improving your indoor air quality. Just remember, everything caught by the filter stays there until you replace it! An air conditioning system with constantly dirty filters inevitably has larger problems down the line (think if you never changed the oil in your car). There a lot of opinions on how often to change your air filter. The industry standard is that you should change it every 30 days, but this isn’t the case for everyone. Our advice is to check it every 30 days. If you can see the dust particles on the filter then its time to change it. If it still looks brand new, put it back in and check again in 30 days. Why throw away a clean filter? Generally, homes with kids, pets, and lots of in/out traffic will see their filters get dirty very quickly. We see homes with less activity easily go 60-90 days before needing to change the filter. More runtime on your unit equals more air passing through the filter, so it will get dirty quicker during times of high use. If you have been to the hardware store or searched for air filters online, you know there are many options with varying prices. We are going to let you in a little secret here, you don’t need the $35 air filter. The best filter for quality and value is a simple pleated filter with reinforced cardboard around the edges. Make sure it is appropriately sized for your filter housing so that it filters the air properly. Most of us are stuck with 1″ thick filters, but many new AC and furnaces can use a 1″ thick or a 4″ thick filter. The 4″ filters cost more, but they filter the air better with increased surface area and tend to last longer. As for the expensive premium allergen and mold fighting filters, the benefits over the standard filter are minimal. If you have asthma, allergies, or other breathing related issues, you may need to look at an electronic air cleaner or UV filter. Keeping your air filter clean is both the easiest and most effective way to keep your unit in good shape!